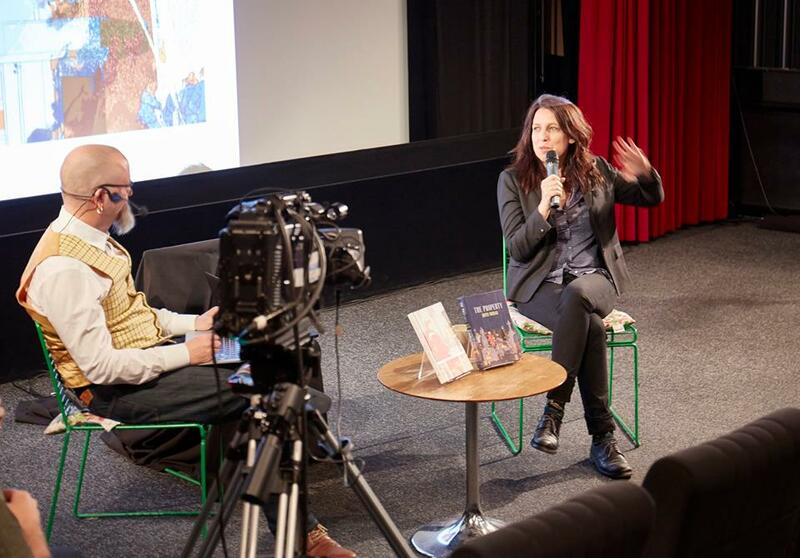 Artist talk with Rutu Modan, at Stockholm International Comcis festival 2016. I give lectures, lead panel discussions and artist talks on stage, all over the world since the 1990s, and do so in Swedish or English. If you have an interesting idea for an on-stage event and want to involve me in any capacity, do contact me through sekventiellt@me.com. I can talk about just about anything related to comics, but often the themes of my talks comes from one of my books or my academic papers. 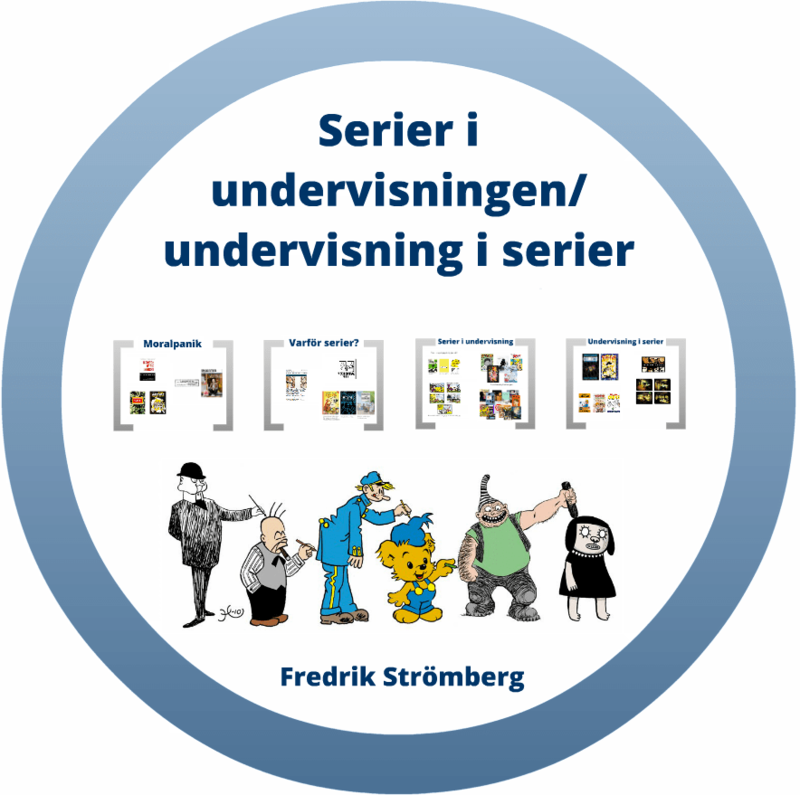 A few of my lectures have been captured on camera and have ended up on the web, such as: Serier i undervisningen (ReadMe, Lund, 2015), or my artist talks with Rutu Modan and Jessica Abel and Matt Madden (Stockholm International Comcis Festival, 2016) . 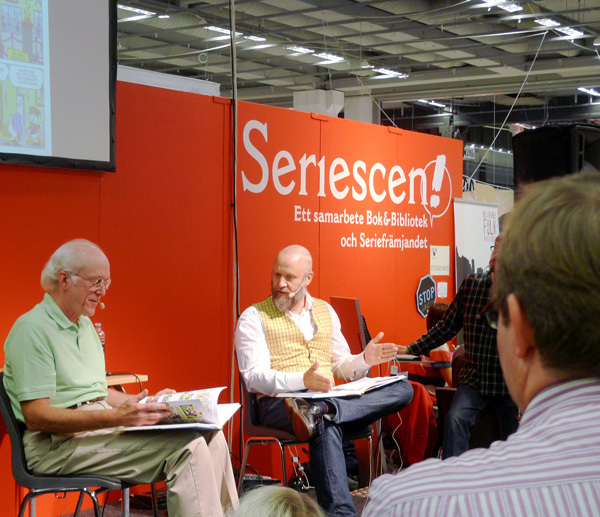 Artist talk with Don Rosa at the Book-fair in Gothenburg 2015. Topic: This is a general presentation of comics as an international phenomenon. I start the whole talk with a discussion on what defines comics and what its defining traits are. 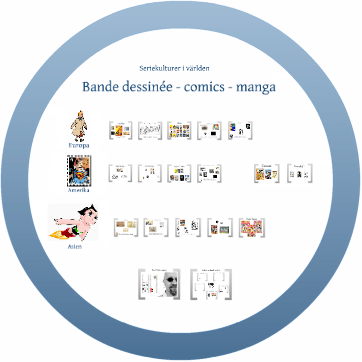 The major part of the talk is then devoted to the three major comics cultures of the world, the French/Belgian, the American and the Japanese/Asian – where I discuss the history and development of each of these as well as their differentiating traits. Tintin, Superman and Tetsuwan Atom/Astro Boy – symbols of the three major comics cultures of the world. 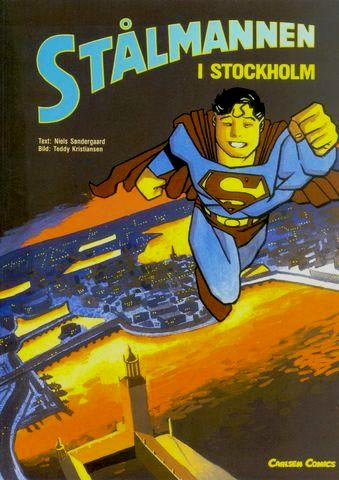 Topic: This is a walkthrough of the history of Swedish comics, from the turn of the century 1800 up until today. 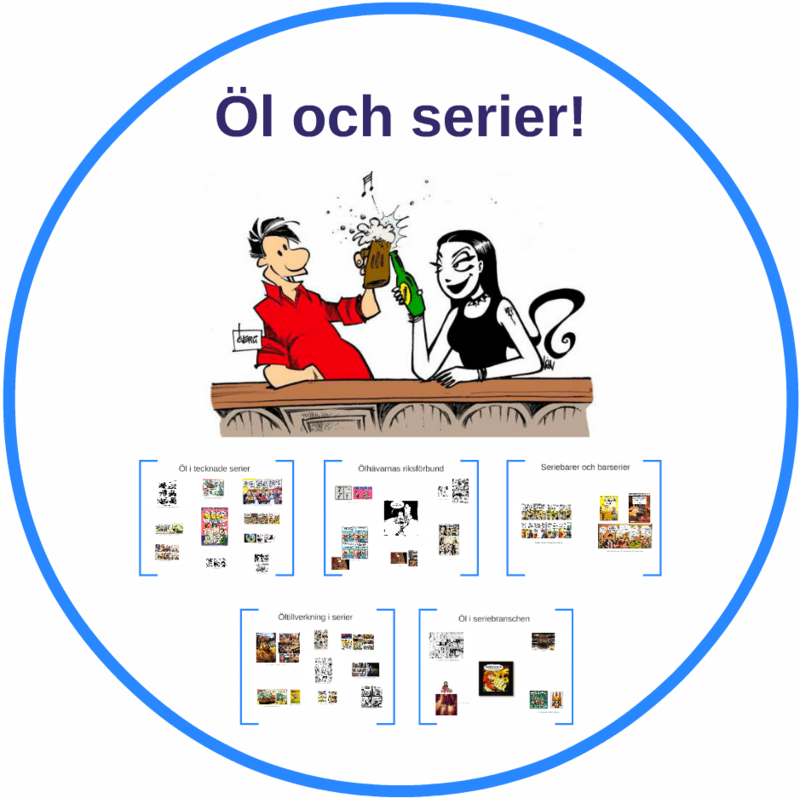 Based on the content of the book Swedish Comics History, I talk about the major stages and prominent genres/publishing formats of Swedish comics. A talk that gives an overview and an understanding of what is in essence a vast topic. Mannen som gör vad som faller honom in (The Man who does whatever comes to mind), a classic Swedish comics character form the turn of the century 1900. 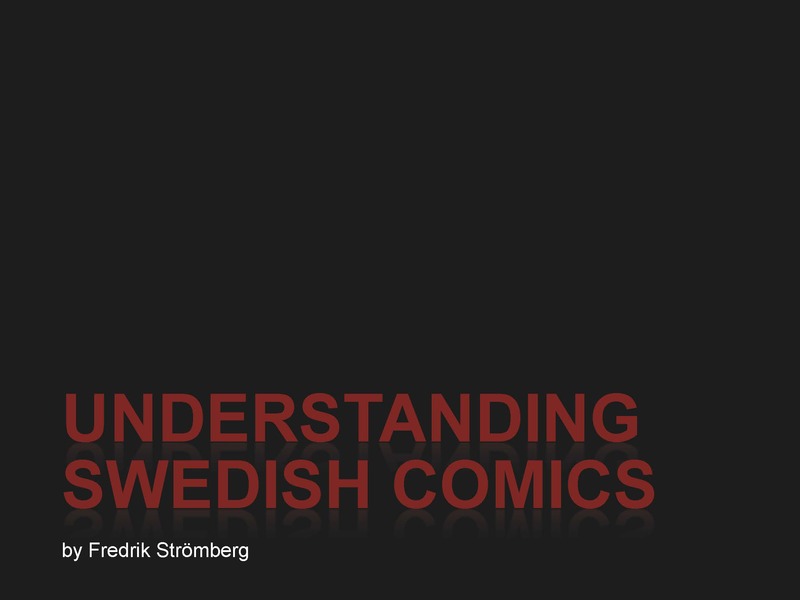 Topic: This talk is based on another way of looking at the development of the Swedish comics culture, where I relate it back to influences from the three major international comics cultures of the world – the American, the French-Belgian and the Japanese – and show how we have been assimilating these influences through history and ultimately making them our own. This is a really quick, high energy talk, with a high image per minute ratio, as I rapidly shoot through comics history. Oh, and I use the comics format, in a way, in order to show the process of development and interaction between different cultures. From Japanse manga to Swedish comics, here exemplified by Cardcaptor Sakura by CLAMP and Sayonara September by Åsa Ekström. 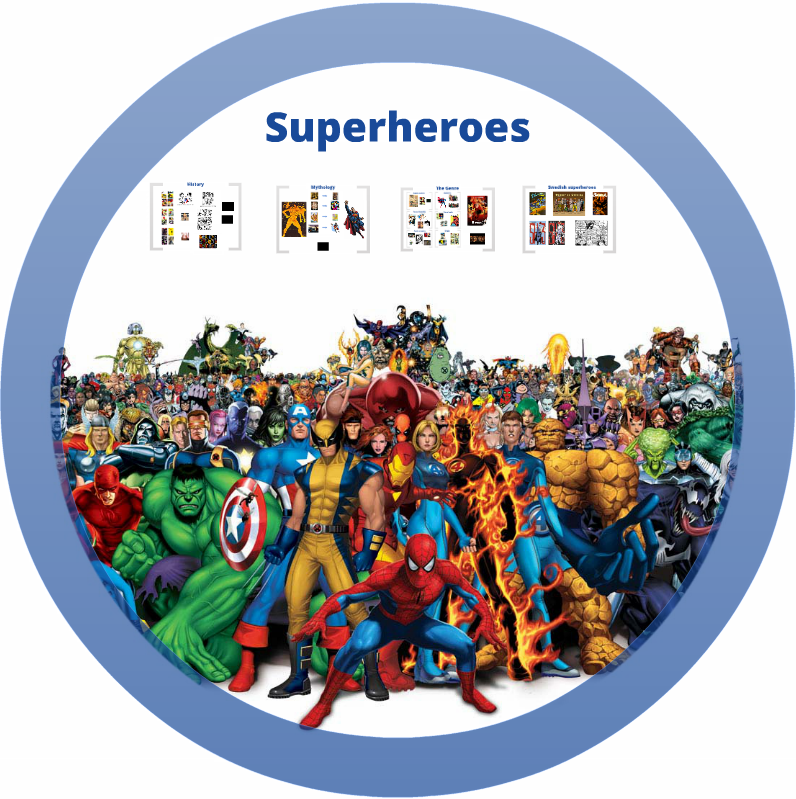 Topic: Comics is an art form that is very well suited for pedagogical use, as a subject of reading and analysing but also for teaching the creative side of making them. This is a talk based on my experiences with comics in education, where I start in the negative debate in the 1950s and the 1960s – which led to comics being more or less banned from schools, and work my way up in the situation today, when comics is being used on all levels of education, from kindergarten to the university. 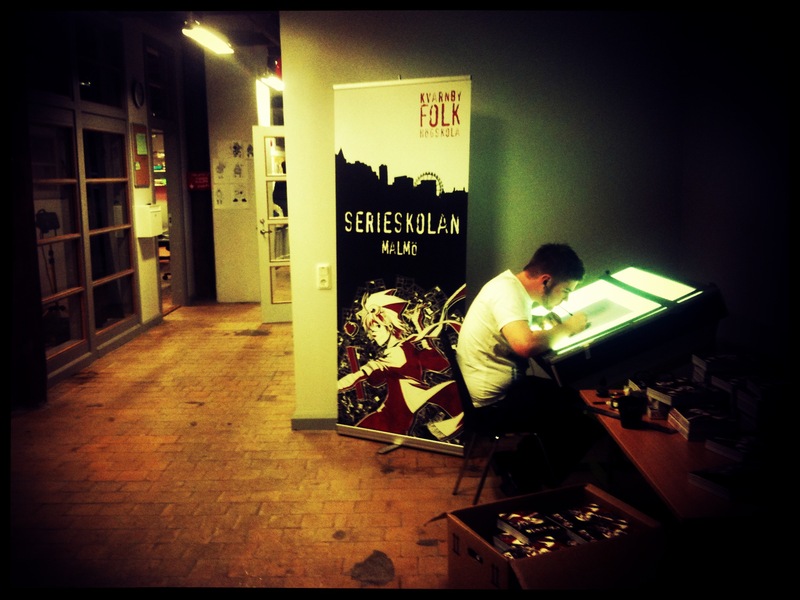 I end up talking about my experiences running Serieskolan/the Comic Art School, the most successful full-time eduction of comics artist in the Nordic countries. Topic: This is a presentation of the genre of superheroes, where it comes from historically – from the creation of Superman in 1938 up until today; what conventions it is built upon – such as superhuman abilities, iconic costumes and secret identities; and how it connects to myths from mankind ancient history and the desire to tell stories of persons that can transcend our own mundane abilities . I end this talk by discussing how the genre works outside of the US, with examples such as SH3 by Daniel Ahlgren from Sweden and The 99 by Naif al-Mutawa from Kuwait. 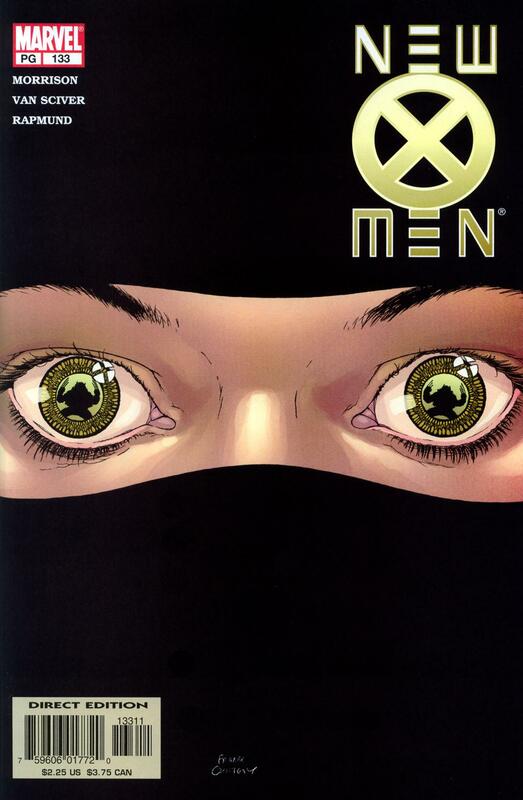 Based on: My article Superhero Comics from the Middle East – Tyranny of Genre? 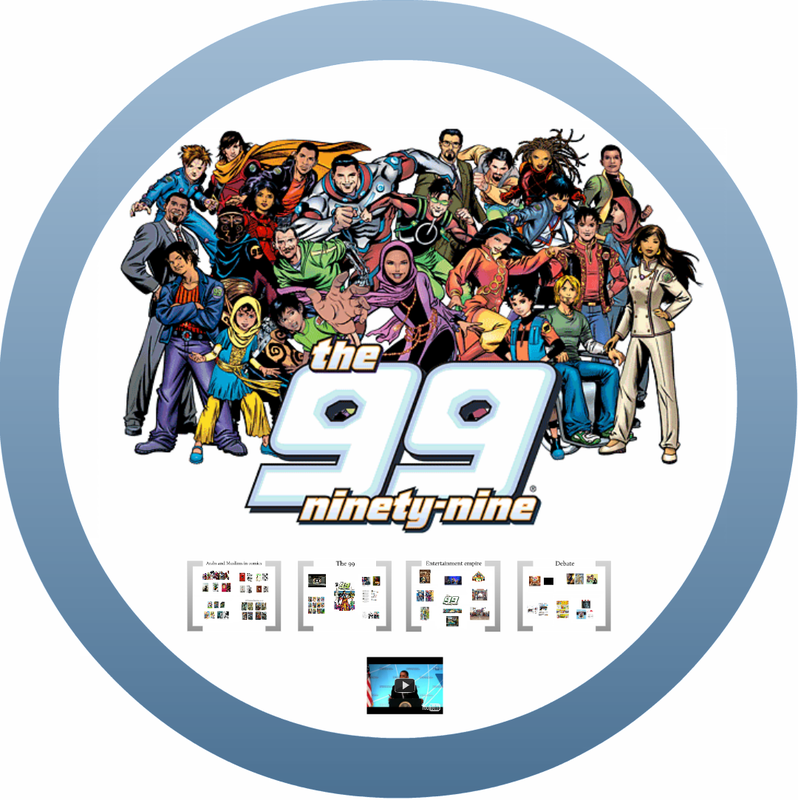 Topic: The 99 is a very different superhero comic. It is an international phenomenon published from Kuwait, and based on the ideas and ideals of Islam. The comic has given rise to theme parks, and animated TV-series and has gained it’s creator, Dr. al-Mutawa world wide attention for creating a bridge between the Middle East and the Western world. I analyse and discuss this unique comic, especially looking at what happens when you take a genre that is so entrenched in the American culture and transport it to a a whole different part of the world. 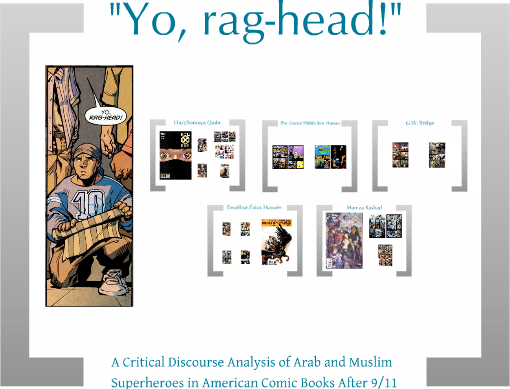 Based on: The academic paper “Yo, rag-head!” – Arab and Muslim Superheroes in American Comic Books after 9/11. Topic: This talk is based on a study I did, looking at how Arab and Muslim superheroes were treated in American comic books after 9/11. I discuss which are the most prominent characters – which include Dust, The Doctor and Bridge – and how their Arab and/or Muslim background has been featured in the comics. Topic: This is a topic near to my heart (or maybe that should be my stomach). 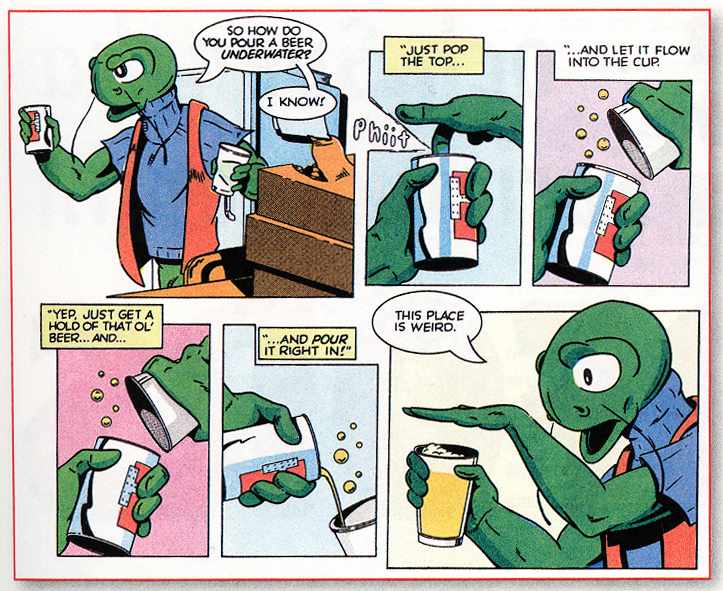 Not only are beer and comics two of my main interests in life, there are also many ways in which they meet. 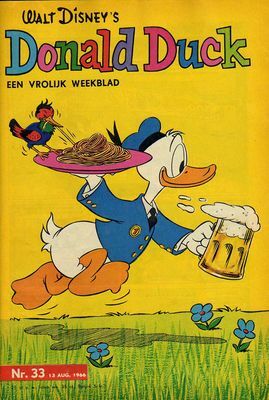 In this talk I look into how beer have been portrayed in comics through the ages, how bar life has been portrayed, showcase comics characters that are more prone than other to down a beer or three, how beer making has been presented in comics and finally how the world of beers have embraced comics.